RBI decided to cut the key policy rates by 0.25%. Welcoming the rate cut, realtors said that this will boost the sector. Finally the Reserve Bank of India cut the key policy rates. While welcoming the decision of RBI, realtors said that it would boost the sector. RBI cut the repo rate (the rate at which banks borrow from the RBI) by a mere 0.25%. RBI slightly cut the key rates. Commenting on the rate cut, realtors said that the interest would have gone down if the reduction rate was further lowered. A further reduction would necessarily boost the home sales. Home loans will be lowered. This will boost the sentiments of the buyers. Along with the buyers, the builders also will benefit from further rate cuts. If the repo rates are further revised, it will bring the EMIs down. Speaking on the issue, former CREDAI chief Lalit Kumar Jain said that the common house buyers will benefit from the reduction of repo rate. 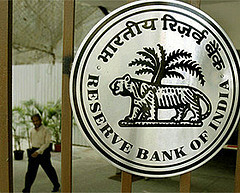 The Central Bank of India today cut the repo rate, short-term lending rate, by a mere 0.25%. After the reduction now the repo rate stands at 7.25. Developers seek more rate cuts from RBI. The RBI decision was met with mixed response. DLF, one the largest developers in India, said that the rate cut will hardly have any impact on the realty sector. The realty major said that the reduction is too small to leave an impact on the sector. Rajeev Talwar, Executive Director of DLF Group, demanded further reduction. He opined that only a further reduction will boost both economy as well as realty. Mr. Talwar stated that the rate cut is very so small that it is insufficient to boost either economy or realty. Sachin Sandhir of RICS (Royal Institution of Chartered Surveyors) also expressed a similar view. He too said only further rate cuts can boost realty sector. Assotech MD Sanjeev Srivastva said that the move will boost the sector. He hopes that the rate cut by RBI will be passed on to the customers by the financial institutions. Real estate Company Assotech and private equity firm Sun-Apollo Friday announced the development of a housing project in Gurgaon at an investment of about Rs 500 crore over the next three years. Sun-Apollo Real Estate Advisors has invested Rs 75 crore to pick up nearly 50 percent stake in Assotech’s subsidiary firm which would develop this project. Assotech has infused Rs 76 crore for nearly 51 percent stake in the subsidiary. 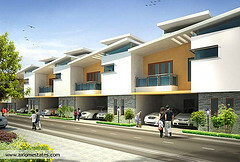 “We are entering into the Gurgaon market by launching a 12-acre housing project in partnership with Sun-Apollo. This is our first project to receive private equity investment,” Assotech Managing Director Sanjeev Srivastava told reporters. The project, which is located on Dwarka Expressway, has been launched at a price of about Rs 5,000 per square feet. He said the company has bought the licensed land where it would develop about 580 apartments, 23 villas and 102 flats for economically weaker section. “The total investment in this project ‘Assotech Blith’ would be about Rs 500 crore including the land cost over a period of the next three years,” Srivastava said. The investment would be met through equity contributions from both the partners, bank loans and advances from customers against sales, he added. Sun-Apollo Principal Alok Aggarwal said: “The two partners are committed to invest more if required for construction activities”. The private equity firm has also invested in real estate projects of Parsvnath Developers and Godrej Properties in north India. “We will do more projects with Assotech in future if there is good opportunity,” Aggarwal said. Assotech is currently developing many housing and hotel projects in the National Capital Region (NCR), Uttar Pradesh, Odisha, Uttarakhand, Madhya Pradesh and Bihar.